Slowly but surely, Instagram is turning into a direct-response platform for brands, and now calls-to-action look a little bit more like banner ads than highly styled and edited posts. The Facebook-owned app is rolling out a feature that links ads to profile pages so that when someone clicks on an ad from the news feed, a banner pops up at the bottom of the screen. The banner prompts people to take an action, like to visit a website or download an app. Clicking on the banner pulls up a website within Instagram. Here is how the experience looks from clicking on an ad. According to an Instagram rep, so-called "profile taps" will be included in click reporting for advertisers and are rolling out internationally. In a statement, Instagram said, "We found that Instagrammers were routinely tapping on a company's name from a direct response ad to learn more. Now when that happens, the call-to-action button from that same ad extends to the company's profile page to make it easier for people to discover a business they care about." 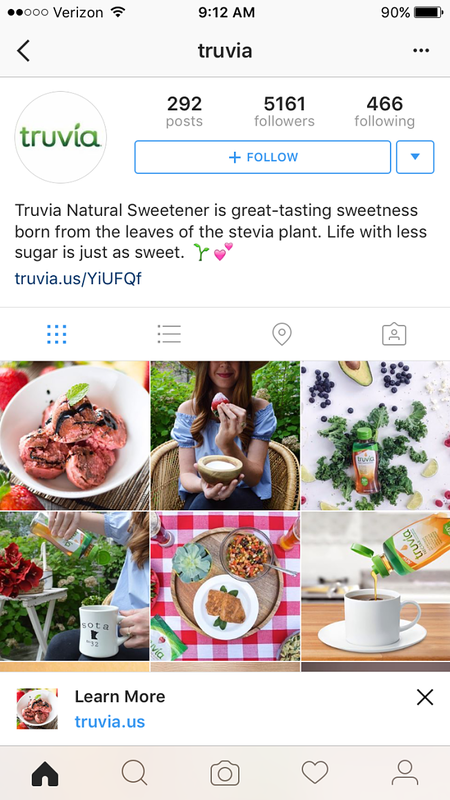 The call-to-action is Instagram's latest step in turning the mobile app into a direct response channel for marketers since opening up its API last year. 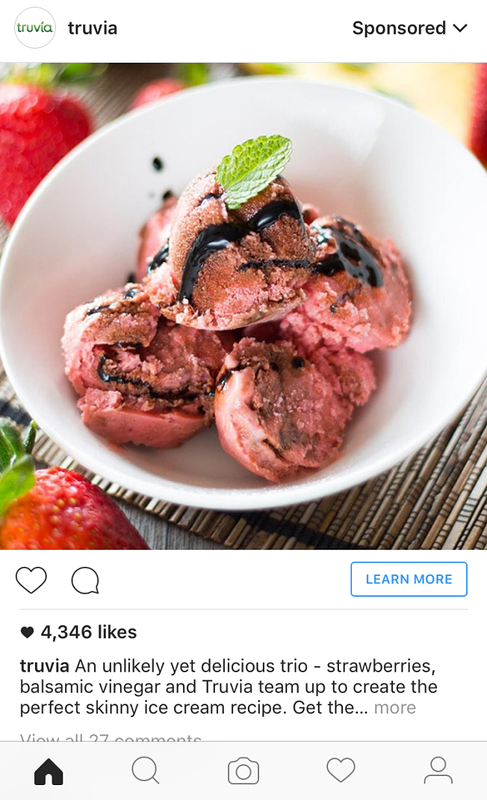 In May, Instagram launched an ad format akin to Facebook's retargeted promos that lets brands show ads for unpurchased items left in shopping carts. Advertisers have uploaded information about 2.5 billion products into Facebook's ad platform, and in early tests, 440 million saw the so-called dynamic ads. 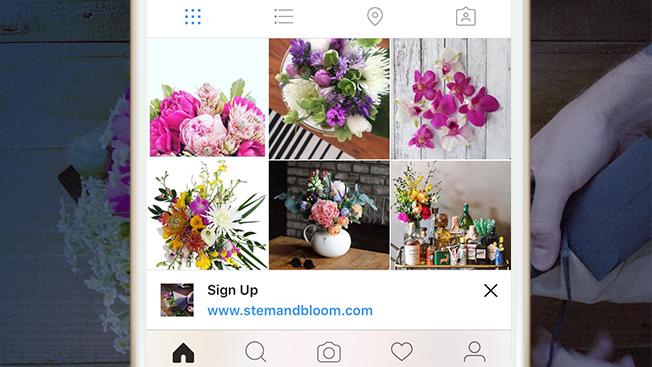 Instagram also reports that more than 200,000 businesses now advertise every month. Meanwhile, Instagram continues to grow with more than 400 million monthly active users who spend an average of 21 minutes with the app every day, uploading 80 million photos per day and "liking" 3.5 billion photos and videos a day. In response to the growth, the app started rolling out its long-awaited algorithm last week that reorders photos and videos based on a user's interests instead of chronologically, similar to how Facebook and Twitter prioritize posts.